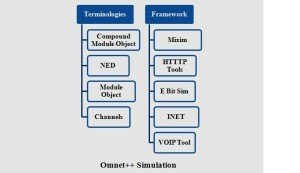 IEEE OMNET++ Projects (Omnet++) is a discrete event based Network simulator. We ensure Omnet++ infrastructure and tools to write stimulators. We offer IEEE Omnet++ project which deliver different network concepts for students to develop final year projects. We develop IEEE based application with Omnet++ simulation model. We support Omnet++ with parallel distributed network. We guide and develop IEEE based projects for B.E, B.Tech, and M.Tech, M.E students. 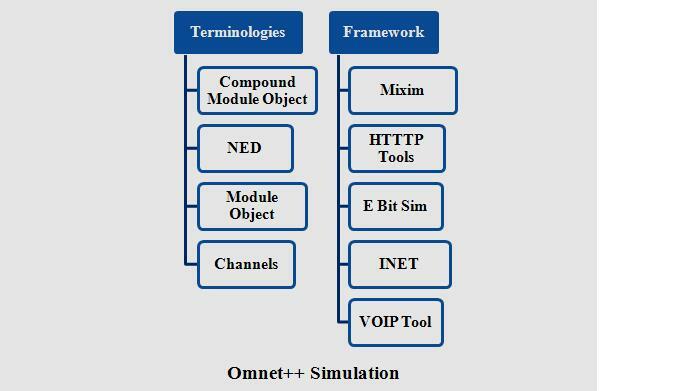 We assure Omnet++ with various frameworks to develop IEEE based projects. Module Object – we place module object inside network which is used to send message to other module objects. Module object is ensuring communication across network. Compound module object – it is a group of multiple module objects. INET framework which contains prebuilt module and compound module objects. Channels – channels are used to connect compound module object to other. Channel allow module to send message to each other and connect gate of one module to another. NED – we are this to create network topology. Omnet++ allows topology to create graphical (or) using NED. Mixim – simulate wireless sensor network. INET – Simulation of internet protocol, TCP (Transmission control Protocol), UDP (User datagram protocol), IPV6. HTTTP Tools – Simulate web browser and web server. VOIP Tool for INET – Voice over IP simulation with INET. E Bit Sim – Simulate Bit torrents. 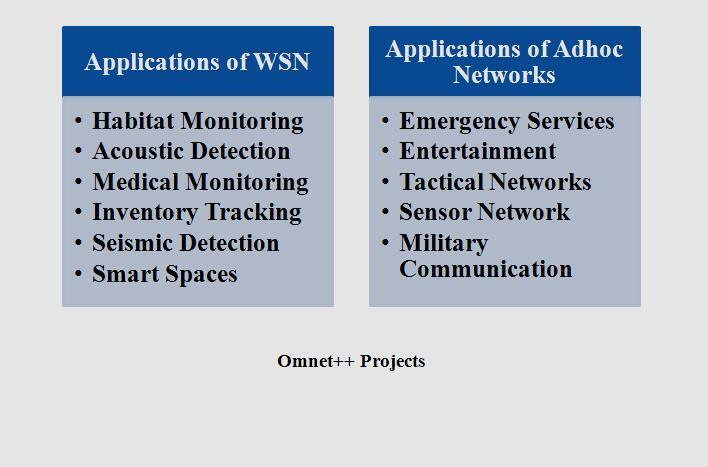 We use wireless sensor network composed of distributed wireless sensor nodes to monitor physical environments. We use common standards are Bluetooth, Zigbee and 6LOW PAN. 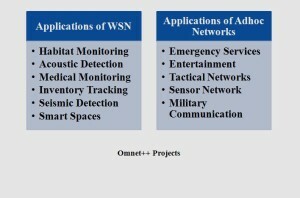 We proposed more than 95+ projects with wireless sensor network in an effective way. We implement ZigBee to transmit data by passing data through intermediate devices. We adopt Bluetooth to exchange data with short distance from fixed and mobile devices. We use 6LOWPAN which permit IPV6 packet to send and receive from IEEE 802.15.4 based networks. We simulate wireless Ad hoc Network by Omnet++. We use Ad hoc network to satisfy the requirement of network application. Ad hoc network a decentralized network which uses all station as mobile stations with no connection to other BS. We use multihop wireless network which composed set of nodes to communicate wirelessly by radio signals with shared common channel. We use this network as radio network and mobile network. Ad hoc network turn up and down in very short time. Considered as robust network because it provide non hierarchical distributed control and management.